Pinned the location earlier in a post. 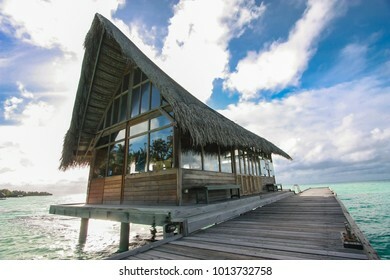 Another good photo of this thatched pier hut at Kuramathi Island Resort. 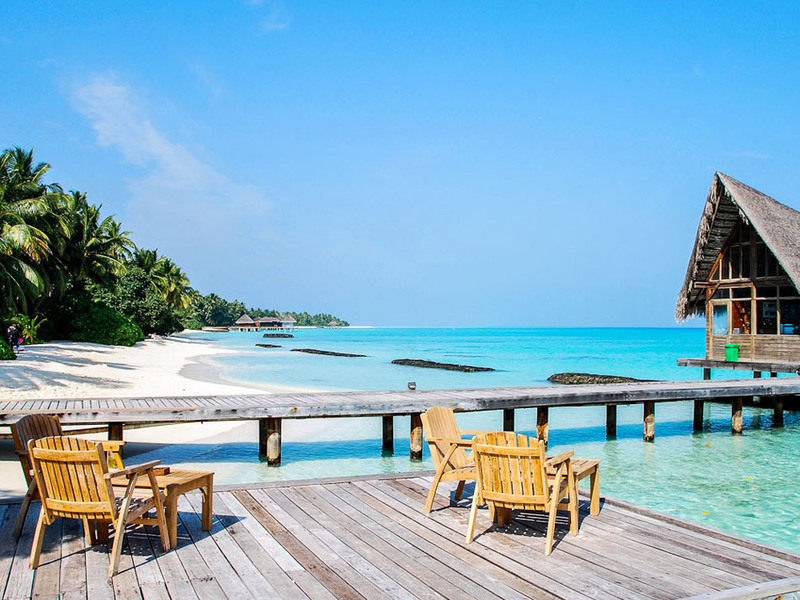 Dhoni Beach Bar Pier, Kuramathi Island Resort, Maldiives. Permanent structure was recently built on the pier since last Google satellite view. Seaplane view in second photo shows tne new thatched roof structure on the pier. It is the Goodman's Bay Beach in the Bahamas. 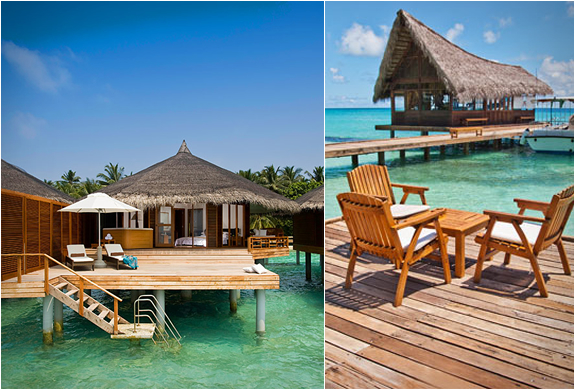 It looks like Maldives to me..